It seems as though my skin gets worse throughout the day and the most clogged pores show up at night. They are currently on my chin worse on one side and some on the other side, then also a few spots on my cheeks and forehead. I am very diligent about my skin and have tried to watch what I eat in terms of glycemic level and grains the last week or so. the last two days I have used nizoral. Any advice? I greatly appreciate your help. Thanks. I am definitely working on my diet and seeing if that will help. I am thinking of cutting out the cerave moisturizer and going back to Dan's. Thinking it may be the culprit of these clogged pores. I am just worried that my skin won't turn over naturally if I don't use any products at all. Maybe you should go to a dermatologist to find out what it actually is, so you can get the correct topical. Because I am worried that they will do the typical "antibiotics + topical" when that has never worked for me in the past. I have been seen by 5-6 dermatologists over the past 8 years. I think I have been on antibiotics so much in fact that it's contributing to other problems. Anyone have an issue with the cerave moisturizer before with clogged pores? Cerave moisturizer is clogging to many people. Try sulfur masks at night to calm your skin. I totally understand about the antibiotics. 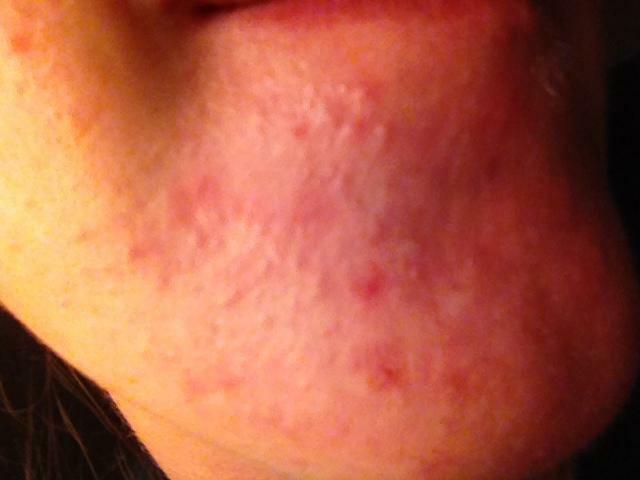 BHA does this to my skin, it's like an irritation from it I believe, or i'm not sure if the BHA is trying to exfoliate my skin but just creates these closed comedones instead from it. Either way, I avoid BHA and stick to BP and retinoids. As weird as it sounds, i'll take allergy pills and put some calamine on them and it helps get rid of them faster. That's so interesting! I have never heard that about BHA other than people just being sensitive to it (redness, etc.) The only reason I started the BHA was to help with these clogged pores. May have to reconsider now. Yeah I had blackheads in some of my pores and thought oh this will help unclog them! It gave me bumps identical to yours, it took awhile for me to put two and two together though so eventually it got worse and became itchy even. My dermatologist agreed it was a form of allergic reaction to it. BP and AHA work really well on my skin though, maybe try some glycolic acid for clogged pores from now on. There's more topics discussing reactions just like this though. I don't think it's the cerave so I would keep using that and apply BP after the face wash in the morning and night with the moisturizer over top of that. Thanks for the info. Sounds like you went through something similar to what I am now experiencing. Much appreciated! Last night was the first night that I didn't use PC BHA - let me tell you I have noticed an immediate difference! My skin looks a lot less clogged/irritated and isn't red anymore. I purchased PC 2% BHA in liquid form over a month ago - when used consistently, it breaks me out, so I've decided to discontinue use. 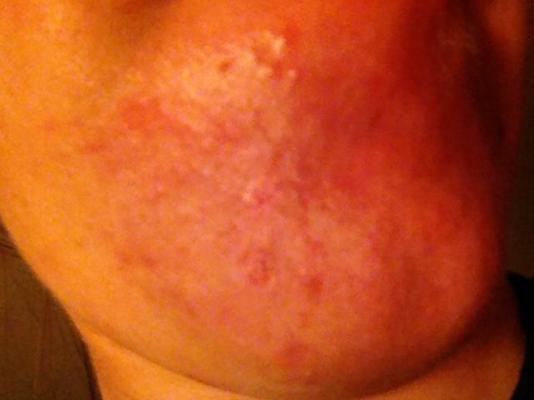 Yesterday I purchased AcneFree's sulfur mask and Acnevir spot treatment (resorcinol, SA, sulfur)...and in less than 24 hours the disgusting break out on my chin is virtually gone. I stared at myself in the mirror completely amazed. Half the whiteheads that were on my forehead are also gone. My forehead has the current PC-related break out btw, right above my left eyebrow closer to my nose, and I hope the sulfur treatments flatten it by the end of the week. My skin is a bit dry though so be aware of that. I use Dan's moisturizer. I'm a bit paranoid of store bought moisturizers and their ingredients so Dan's it is. This is how PC breaks me out - it gives me these hard lumps on my forehead, that get slightly red, and feel much worse than they look. They never form a head, eventually flatten. And as they flatten I can see a few clogged pores. It's as if it inflames the skin surrounding the clogged pores. I've only ever used PC on my forehead and chin, my problem areas - granted my chin is 10x worse than the forehead. Yeah, try to avoid that stuff from now on. What's also interesting is that many fruits and veggies naturally contain salicylic acid, and I notice if I eat pineapple or certain other fruits I'll start breaking out around my mouth a couple hours later. yeah that last description is exactly what happens to me too. Bizarre, right? I don't even know how to classify that type of acne. I guess papule? That's the reaction I get from it on my forehead. On my chin, however, maybe because the skin is thicker, it gives me these hard under-the-skin bumps that pretty much stay flesh color. Awful.